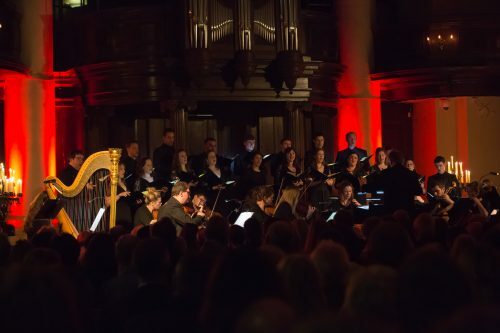 Tenebrae and Britten Sinfonia collaborate for the first time for an absorbing and moving concert experience. These premiere ensembles celebrate Sir James MacMillan’s 60th birthday year with his Seven Last Words from the Cross, widely admired as one of the composer’s finest achievements, alongside poignant liturgical music by Poulenc and Victoria. MacMillan’s cantata follows Christ’s final utterances at the Crucifixion, meditating on each to form a dramatic and emotional sequence. The concert will last around 75 minutes without an interval. Participants of the morning’s workshop are entitled to 10% ticket discount for this concert. Bookings must be made in the same transaction.